Honing their skills. Exploring their next steps. Walk down our Lower School hallways and you'll see a virtual art gallery of accomplishments. Each classroom rotates work from current subjects and allows you to appreciate just how encouraged our students feel in their ability to express themselves and how proud our teachers are in the diversity of learners they lead. Students have plenty of opportunities to become independent readers, writers, goal-setters, and thinkers. Teachers work to help students develop of good work habits, organization, and self-monitoring. Even at this level, computer science develops in students the skills for complex problem solving and logical thinking. Students’ excitement for books and reading grows throughout the year. Small group work fosters social growth and development as students encourage one another to succeed and take risks. Daily homeroom, Spanish instruction, special extended units, and field trips to complement subjects discussed in class round out the curriculum. The year for both grades culminates with an in-depth study and presentation bringing together reading, writing, creativity and presentation skills. 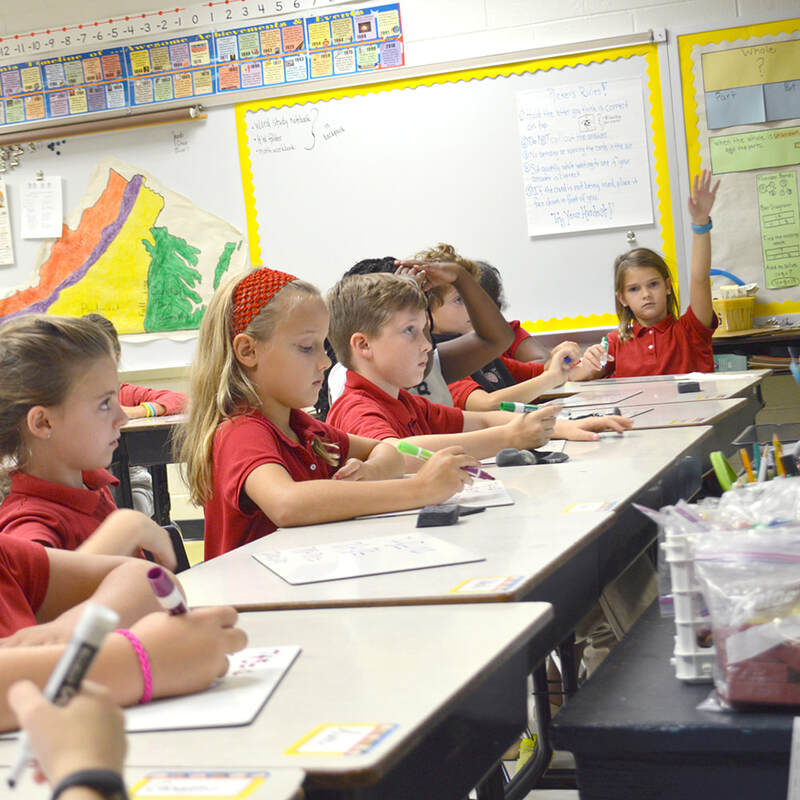 Students in the first and second grades spend much of their class time with their home room teacher. Students have in-room Spanish instruction every day along with a trip to the Carter Athletic Center for Physical Education where they learn skills that shape their understanding of various sports, fitness and teamwork. Students enjoy lunch at group tables in the Lemon Dining Hall where they can bring or buy their lunch from a diverse offering of healthy options. Students' seats are assigned but rotated monthly so that children can build friendships and relationships with all of their peers. Recess is an important part of the day and is followed by learning centers and specialized instruction in math, science, history and language arts with their homeroom teacher. ​In second grade, students begin to understand the subtlety in sentence construction, the effects of word choice and proper use of punctuation. Singapore Math instruction continues in the second grade, as it will through fifth grade, and begins to introduce larger number groupings. Addition and subtraction of multi-digit numbers are made simple through grouping. 57 + 39 is quickly rearranged to become 50 + 30 + 7 + 3 + 6, breaking the problem down into even groups of tens or fives, giving students the foundation for quick mental math. D'Nealian Cursive method to help develop fine motor skills and allow writers to think of words as wholes instead of parts, which helps improve reading, spelling and writing aptitude. Word Study in first and second grades builds vocabulary and an understanding of the nuances in spelling. 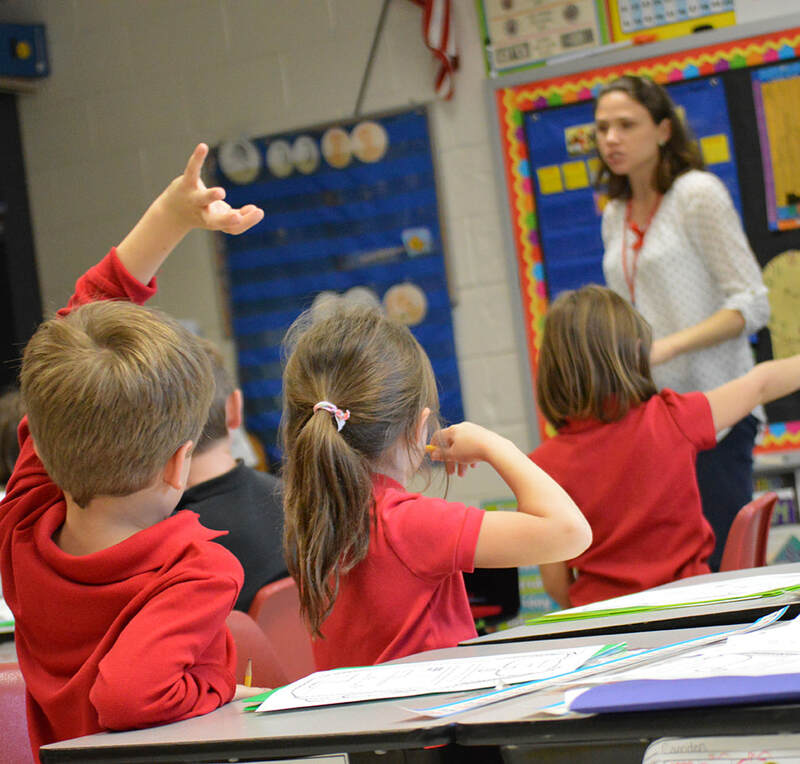 The Singapore Math program utilizes the concept of number bonds to help students see the inverse relationship between addition and subtraction and division and multiplication; they are mirror images. Music meets twice per week, focusing on percussion and group singing. Students leave their homerooms for art instruction once per week. Various field trips illustrate topics introduced in class, even if it's a simple trip out back to the Lower School Garden where they see life cycles in action or a trip to Safari Park to learn about exotic animals. Each week, students go to Hancock Library for story time and to learn about concepts like inference and how illustration affects story telling. Our licensed professional school counselor meets with the classes to emphasize concepts of respect and kindness. Each year culminates in a presentation on our auditorium's stage, which originates from research done by the students. For first grade, it's the "Welcome to Roanoke, Flat Stanley! "; for second, a program on Africa which features songs, instruments, and cultural/geographical facts about the continent. Public speaking starts young at North Cross, allowing students to feel comfortable in expressing their ideas in front of an audience. The Lower School also offers Extended Day options. Download details and a price guide. In third grade, the basics of sentence structure, communication and vocabulary are well practiced. Students can now rely on that knowledge as a foundation for allowing their creativity to take flight. A great example is the monthly book report. Each month, students choose a book within a genre (historical fiction, biography, etc.) but are given a different project to present their choice to the class. 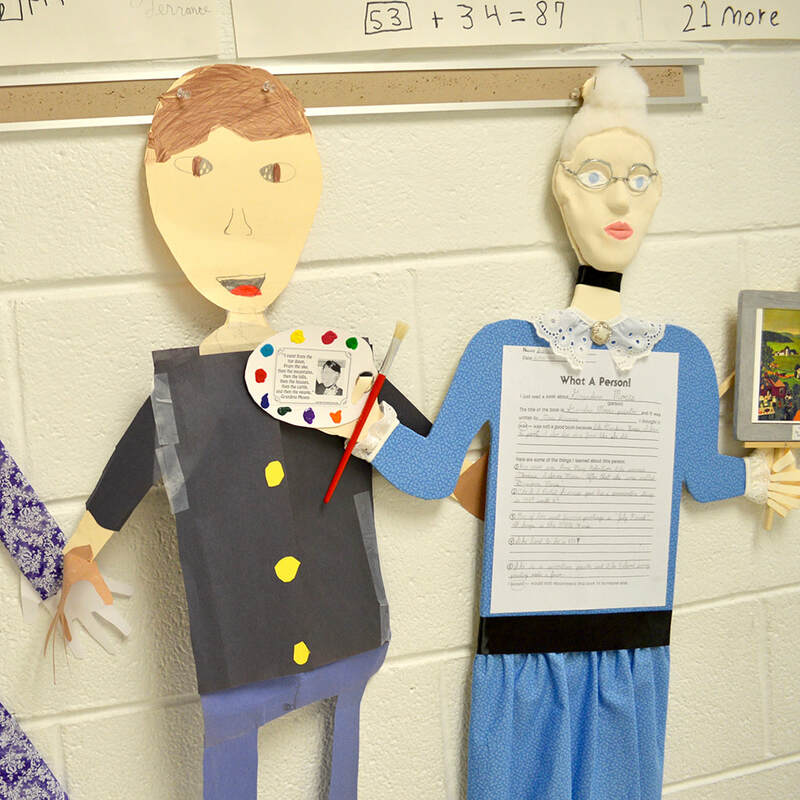 Whether it's a mobile, a paper model of a famous person, a diorama, or an illustrated story, students learn the different ways to share ideas. Creativity soars. In addition, our Word Study program emphasizes phonics instruction to foster a deep understanding of spelling features rather than rote memorization. Using Singapore Math, students may not realize it, but with the word problems they diagram and solve, third-graders are actually doing Algebra. Third graders spend their time in different classrooms. They'll start in their homeroom, but move to separate classrooms for social studies and math or Language arts and science. This is also the first year students head to a separate classroom for Spanish instruction, dedicated to the language and culture of Spanish nations. Students have music, art, or library during their "specials" time period each day. In their classrooms they work in small groups determined by skill and social factors. Students are able to take part in the Lower School musical and in certain after-school clubs, like Robotics Club. The day of a second grader is spent similar to that of a first-grade student, however, writing and reading take on new meaning. Accomplished readers now, these students can now focus on reading for comprehension instead of mastery. As such, the meaning they take from stories starts to evolve. Students begin to understand the subtlety in sentence construction, the effects of word choice and proper use of punctuation. Singapore math continues in the second grade, as it will through fifth grade, and begins to introduce larger number groupings. Addition and subtraction of large numbers are made simple through grouping and memorized math facts. 57 + 39 is rearranged to become 50 + 30 + 7 + 3 + 6, breaking it down into even groups of tens or fives. Spanish continues in the homeroom classroom, but now begins to develop their vocabulary into words that can be used to form sentences. 1:15 - 1:55 P. E.